Myrtle Beach remains the number one golf destination in the United States year after year. With over 80 courses to choose from you are sure to find the trip you and friends have been looking for. Our 6 oceanfront/ oceanview properties offer you the flexibility to play North, South, and anywhere in between. Grab your friends or family and head to Myrtle Beach where your next memory begins! Stay 5 Nights and Play 5 these courses for an incredible value! You will also receive a $100 Gift Card per golfer! The gift card is valid for merchandise, food, beverages, and same day replays. MYSTICAL 3 ROUND INCLUDING LUNCH AND 2 BEERS! 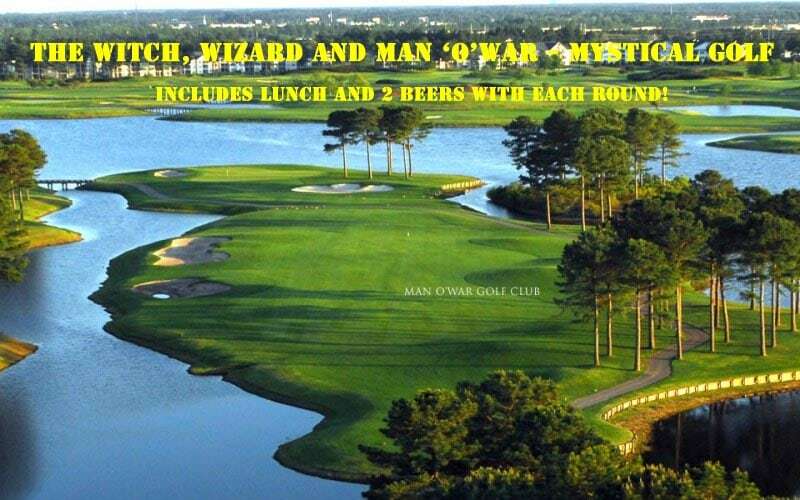 Play all three of the Mystical courses Man O War, Witch, and the Wizard. Lunch and two beers is also included each day for an incredible deal. These 3 courses will have you coming back year after year! 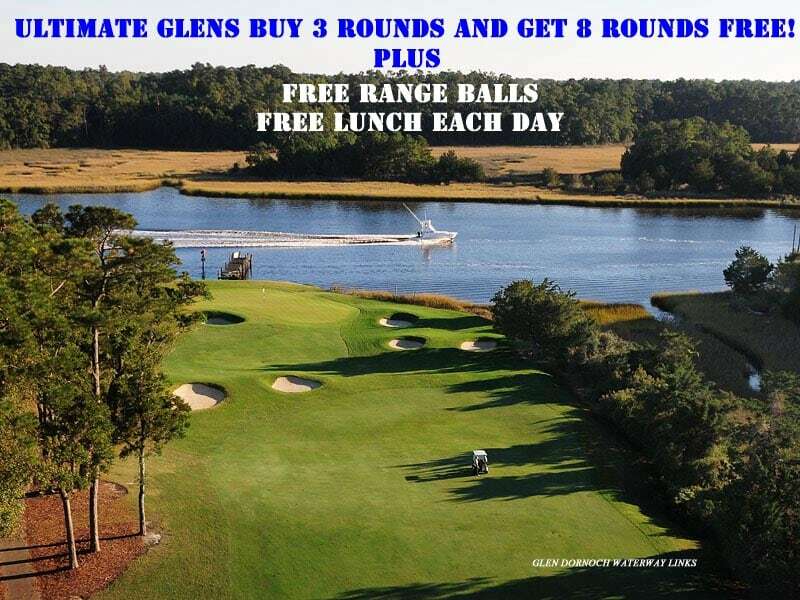 ULTIMATE GLENS BUY 3 GET 5 FREE INCLUDING LUNCH AND RANGE BALLS! ULTIMATE GLENS BUY 3 GET 5 FREE! LUNCH AND RANGE BALLS INCLUDED EACH DAY! Who doesn't like free golf especially when combined with 4 great golf courses. On this package play all 4 Glens courses and receive free replays, range balls, and lunch each day at the course plus you will receive your morning round at Possum Trot free. Add that all up and you receive 8 rounds of golf for the price of 3! CATS BUY 3 AND GET TIGER'S EYE FREE! The Big Cats located just across the border into North Carolina offer 4 great layouts that everyone can enjoy! 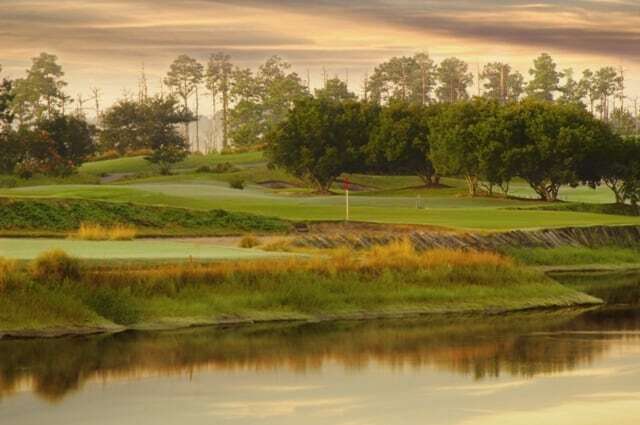 Tiger's Eye and Leopard's Chase are known as two of the most popular courses the Grand Strand has to offer. When you pair Leopard's Chase, Panther's Run, and Lion's Paw together; you will receive Tiger's Eye for free! That's not all, each golfer playing all 4 rounds will get lunch at the course on each day of play. So if you are looking for GREAT DEAL for 4 Nights and 4 Rounds then you have found it. Located in Sunset Beach, NC only 20 minutes from the resort. Lunch is not available during the summer and winter golf seasons. 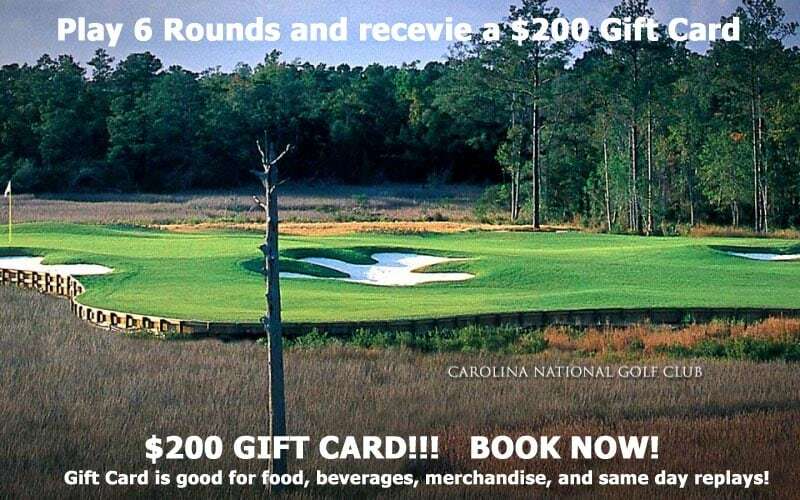 Choose 4 Rounds from 22 of Myrtle Beach's most requested courses and receive a $100 Gift Card per player! This is a 4 Round "Dream" package playing Caledonia Golf and Fish Club, True Blue Plantation, and Choose 2 From Barefoot Love, Norman, Dye, and Fazio! This premium package fits the name so go ahead and hit your Grand Slam today! Play 6 Rounds of golf; 1 each at Caledonia Golf and Fish Club, True Blue Plantaion, plus 4 rounds at Barefoot Love, Norman, Fazio and Dye Courses. This takes the Grand Slam Package to the next level. Call it a "Bucket List" package if you will. Yes, this is a dynamite package pairing Tidewater Golf Club, Oyster Bay and Sea Trail Jones. Choose 2 rounds or all 3 rounds and receive huge savings! Plus Oyster Bay includes breakfast, lunch, and 2 beers! PGA 4 Package including a $100 Gift Card per golfer! Choose 4 Rounds from over 20 courses and each golfer will receive a $100 Gift Card that can be used at the courses for Food, Beverages, Merchandise, and Same-Day Replays. It really is that simple. How will you spend your $100? LEGENDARY BUY 4 ROUNDS AND RECEIVE A 5TH ROUND FREE! Includes your choice of the five legends courses Heritage, Oyster Bay, Legends Parkland, Legends Heathland, and Legends Moorland with one of the rounds being free. Free round must be played after 1pm. Breakfast Buffet, Lunch, and two Beers are also included on this package as an added bonus. 3 rounds of the best golf along the Grand Strand. From Rivers Edge in Shallotte NC to Wachesaw East in the Low Country of Murrells Inlet SC including Tidewater, Arcadian Shores & Blackmoor in between.. This package provides you with the best rates available on over 20 of the Grand Strand's most popular courses. These rates don't include any gimmicks like gift cards or lunch. They are just great deals! Choose any 4 of the Legends courses Heathland, Moorland, Parkland, Heritage, or Oyster Bay and you will only pay for 3 rounds! The free round must be played in the after 1PM and as always a breakfast buffet, lunch, and 2 beers or soft drinks are included at the courses on each day of play! Choose 6 Rounds from 22 courses and each golfer will receive a $100 Gift Card! The gift cards are valid at the courses you choose and may be used for food, beverages, merchandise, and same-day replays. 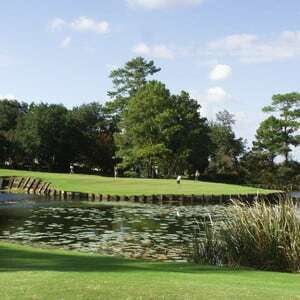 The Waccamaw Golf Trail features some of the finest courses in the Low Country. Choose from 11 courses to create a Low Country dream trip.